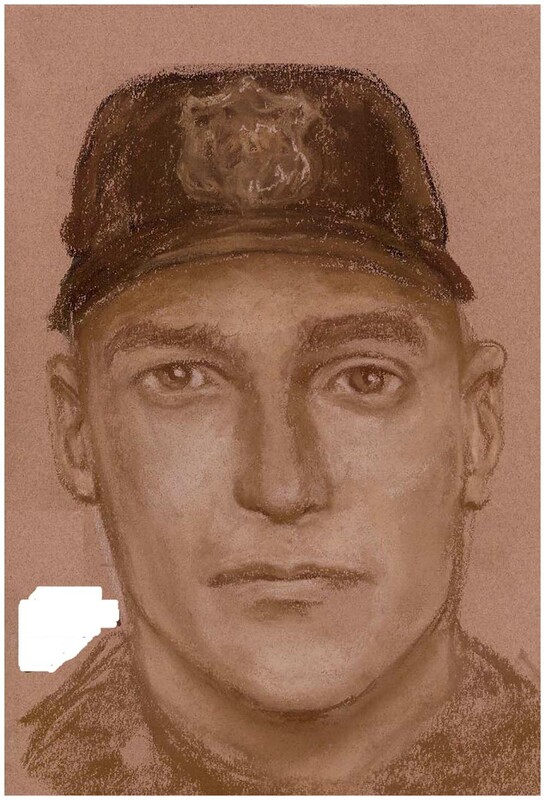 Investigators in the Houston Police Juvenile and Major Offenders Divisions have released a composite sketch of a police impersonation suspect wanted in an indecency with a child incident at 6400 Rustling Elms about 8:30 p.m. on November 18, 2007. The suspect is described as a white male, 25 to 35 years old, 5 feet 11 inches to 6 feet tall, and weighing 160 to 170 pounds. A 15-year-old girl was at Elm Grove Village Park when she said a suspect approached her, claimed he was a Houston police officer, and asked if she had seen some males on bicycles in the area. He then took her to a wooded area in the park and forcibly removed her clothing and touched her with a pistol. When the girl started screaming, the suspect told her to go back to her home. In that incident, the suspect had several days of facial hair, was wearing a red windbreaker jacket, tan shorts and a black baseball cap. A similar incident on July 23, 2006 occurred at an apartment complex at 3700 Kingwood Drive about 11:45 p.m. where two 17-year-old females reported a white male confronted them, claiming to be a police officer looking for some males on bicycles. The male had brown hair and a goatee and was driving a red Ford F350 Dually truck. The suspect left the location without getting out of the truck. That suspect’s description appears similar to the male in the Rustling Elms incident. However, at this time, it is unknown if these two incidents are related. Anyone with information in either of these cases and the possible identity of the suspect in the composite sketch is urged to contact Crime Stoppers at 713-222-TIPS.